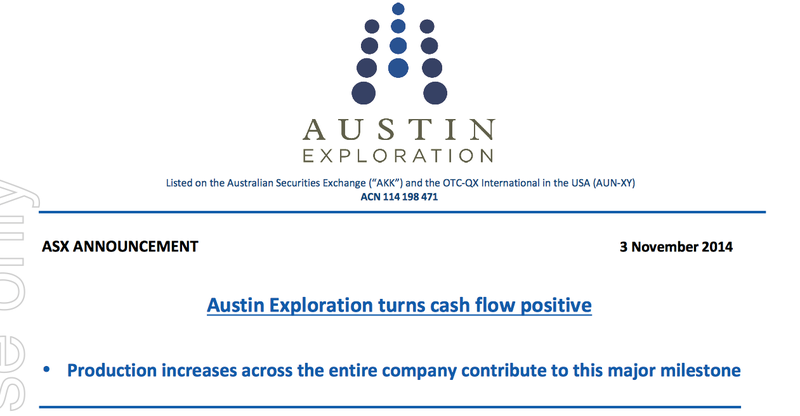 Austin Exploration (ASX:AKK) recently spudded its sixth well in Texas, and has gone into the black. AKK is now cash flow positive on a monthly basis – earning revenue from oil and gas wells pumping out product across the USA – from Texas to Kentucky to Mississippi to Colorado – AKK’s multiple, simultaneous project development strategy is now starting to pay off. Shares in AKK were recently consolidated on a 10:1 basis – there are now just 262,962,790 shares on issue, improving the company’s suitability as a long term, institutional grade investment. AKK has also just announced a new cornerstone investor – taking a 19.8% equity investment in the company. Lanstead Capital, a UK-based institutional investor will invest $4.513M into AKK by way of a subscription for 59 million new ordinary shares at a price of $0.765 per share. Lanstead have committed their long term support for AKK and have agreed to hold AKK for a minimum of 2 years. This provides increased stability to the register and allows AKK to fund its on-going drilling campaign. Its wells in Texas have now pumped out over 226,000 BOE (barrels of oil equivalent) and with two more wells now coming on stream, that figure is likely to rise again. The latest news is that their fifth well is flowing at 996 BOE – adding to production volumes further still. Drilling operations are being completed at a sixth well, and the drilling of a seventh well is due in the coming weeks. Its oil and gas play in Colorado is pumping out oil and gas, likewise in Kentucky and Mississippi where a steady flow of oil is coming along nicely. 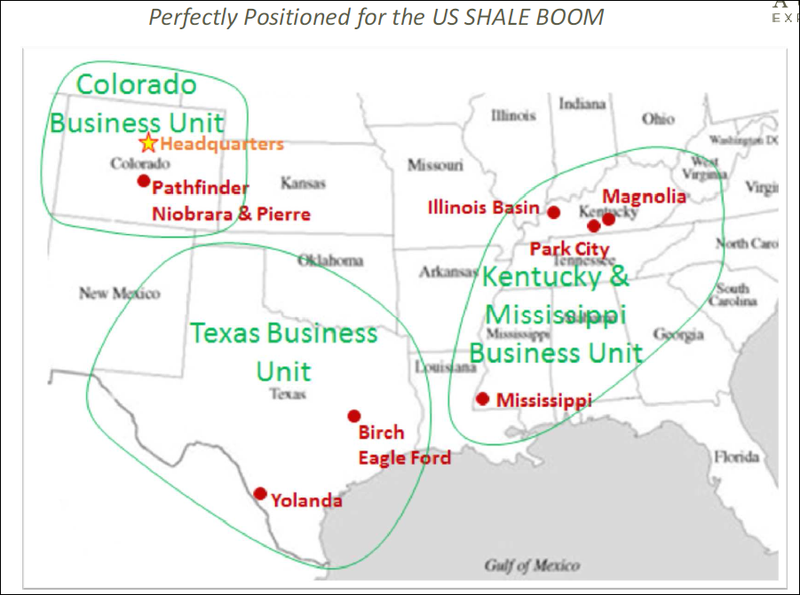 All of this revenue generating production will assist AKK in attracting a longer term, larger financing agreement to develop its US acreage – ideally a facility that is big enough to accommodate more than 300 wells in some of the most prolific oil and gas basins in North America – most notably the Eagle Ford shale in Texas and the Niobrara shale in Colorado. Now that its cash flow positive it also has the option to utilise a new incremental rolling facility that can provide cash when needed, at a 3.5% interest margin. AKK’s aggressive exploration and drilling programme is starting to bear fruit and opening up lots of possibilities as it seeks to become a leading US oil producer. The Next Oil Rush first covered AKK in May with this in-depth article $20m to $5.6bn: Can He Do It Again? Multiple Catalysts In Weeks. Those catalysts were all to do with – surprise, surprise – drilling, and in August AKK hit the drills again so we brought you 5 Wells Now Spudded in AKK’s Aggressive Texan Eagle Ford Drilling Campaign. This activity resulted in a significant resource upgrade for its Texan reserves and resources – up 87% for oil and 34% for gas. AKK now has six oil wells spudded within its 5,000 acres in The Eagle Ford Shale basin in Texas – America’s largest unconventional oil and gas producing area. At the Eagle Ford, AKK brought in partners for a ~$40M farm-out programme. Four 10,000ft horizontal wells have now been spudded with the US$ 1.2BN oil and gas behemoth Halcon Resources . A fifth well has been spudded at Eagle Ford by a Halcon affiliate – the Curington “A” #1H well, now flowing at 996 BOE/day , and a sixth one has been added to the list – Seaducer #2H. This sixth well should be completed soon, and a seventh should be drilled shortly. AKK now hold indefinitely 1,680 acres through production and is looking to secure interest in 5,000 acres through production growth. AKK’s strategy at Eagle Ford is to drill a series of wells there, generate cash flow from production and use it to develop its own 100% owned oil and gas play – the 11,000 acres plus Niobrara Pathfinder in Fremont County, Colorado. The last time we checked, AKK hit lots of oil with its C-18#1 well in Colorado, which spewed oil sky high and soaked the drill rig and the crew operating it – not a bad result! There is room for at least 200 wells within Niobrara Pathfinder’s project boundaries and with independent reserve estimates of between 200,000 to 500,000 barrels of oil per horizontal well, that becomes a lot of potential production, with 100% working interest to AKK. Eagle Ford and Niobrara Pathfinder are AKK’s two major resource plays in the USA – but right now there is a lot of news coming out of Eagle Ford. It has six wells spudded there and there is significant oil flowing, so much so that the company is now cash flow positive. AKK will soon be able to use this cash to expand its other operations. On a monthly basis, AKK is now cash flow positive as it draws its share of the revenue from its oil and gas plays across the USA. 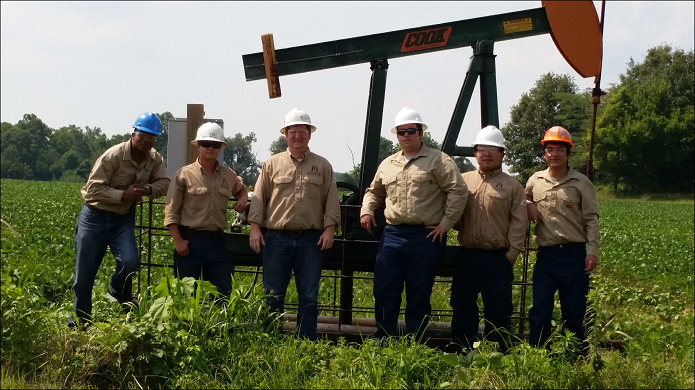 The Redbud well AKK drilled with Halcon Resources in East Texas is in full production – more on that soon. Production from its wells in Kentucky are in full swing, oil production and gas sales from the Pathfinder project in Colorado are underway and strong production from the Mississippi wells continues. So as well as topping up AKK’s bank account very nicely, being cash flow positive also means the company can meet all of its cash calls on the Redbud, Curington and Seducer wells in Texas. By meeting the cash calls, AKK now gets its maximum possible share of cash flow from each of them. The count we’ve got so far for oil production at Eagle Ford – AKK’s 5,000 acre Texas oil play – is over 226,000 BOE from four wells spudded in 2014. The cut is 90% oil and 10% gas. 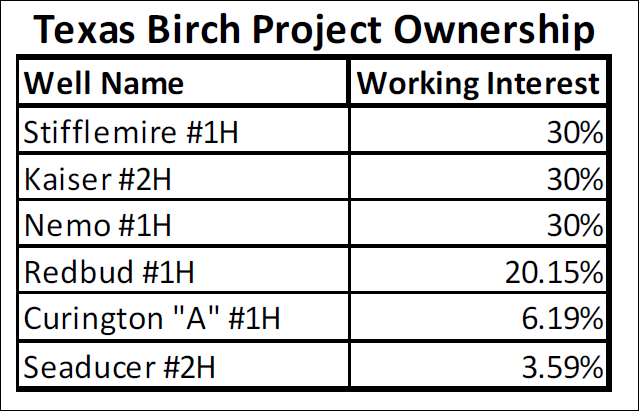 The wells in production are Redbud #1H, Stifflemire #1H, Kaiser #2H and Nemo #1H. All of these wells were spudded, drilled and put into production this year with the help of Halcon Resources, AKK’s top tier farm-out partner. To this list of four production wells, we can soon add two more – Curington “A” #1H and now Seaducer #2H – which which is currently being completed now. And we as Seaducer is currently being completed , we should have some flow rate news soon. So that’s six wells spudded at AKK’s Texas Eagle Ford oil play – with room for more to come. 226,000 BOE and rising from four wells is a great result, but what will two more do to the figures? 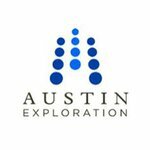 We’ll find out soon as drilling continues at Eagle Ford and AKK works to deliver yet more wells to its portfolio there. For quite a while now AKK had been negotiating a $40M debt facility to support its expanding stable of oil and gas projects across the USA. But now that it’s cash flow positive on a monthly basis, AKK says it doesn’t need a $40M debt facility at this point in time. The accelerating performance of its wells at Eagle Ford in Texas, combined with the steady flow of oil from its plays in Kentucky and Mississippi, means AKK now has a significant production pool and a growing reserves base. AKK can now access more traditional, incremental debt funding as needed, rather than committing to a mezzanine financing facility which often can be expensive in terms equity and company options. As we mentioned earlier, AKK have secured a cornerstone investor who has made a 19.8% equity investment in the company, and has agreed to hold the stock for a minimum of two years. AKK has also secured an incremental rolling facility with a 3.5% interest margin with CHASE bank that could be used to fund the present round of drilling at Eagle Ford. As production there and elsewhere increases, AKK can then re-evaluate its needs and draw more money if needed – or use its cash flow to pay back the loan and pay for its operational expenses. Now that the sixth Eagle Ford well has been spudded – Seaducer #2H – we’ll be looking out for any updates on its drilling progress and fingers crossed, flow rates when it gets into production. 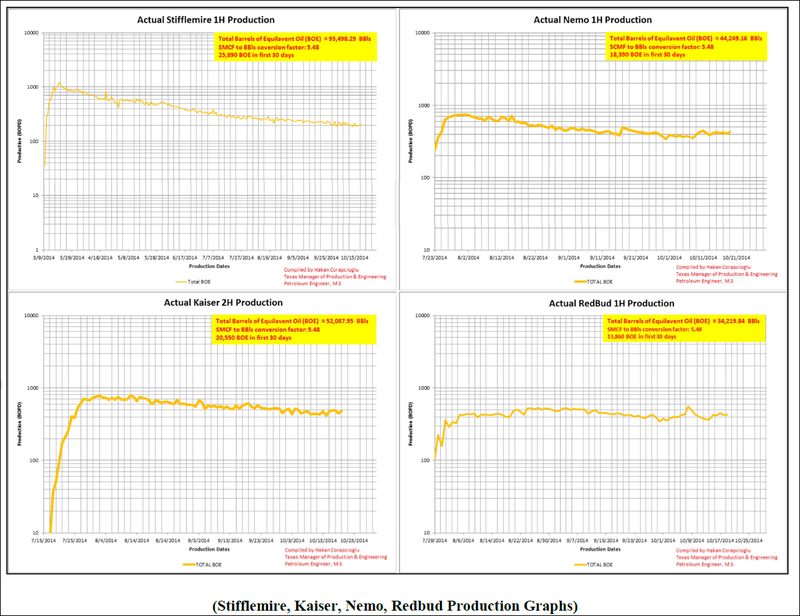 Likewise with Curington #1H – currently flowing at 996 BOE/day , we want to see that one enter production too so we’ll be on the lookout for any updates. As we enter the final months of 2014 we’ll also be looking for updates on how oil and gas production is going out at Niobrara Pathfinder. AKK have set themselves up for a big 2015 with plenty of exploration and expanded production on the cards.